A photographic workshop exploring our relation to ecology, dreaming, perception and the birth of creative substance. This workshop is designed to give us the time to surrender to the natural world and focus on the inner world, which has been a point of inspiration, expansion and creation for many artists; some may call this the original mind. 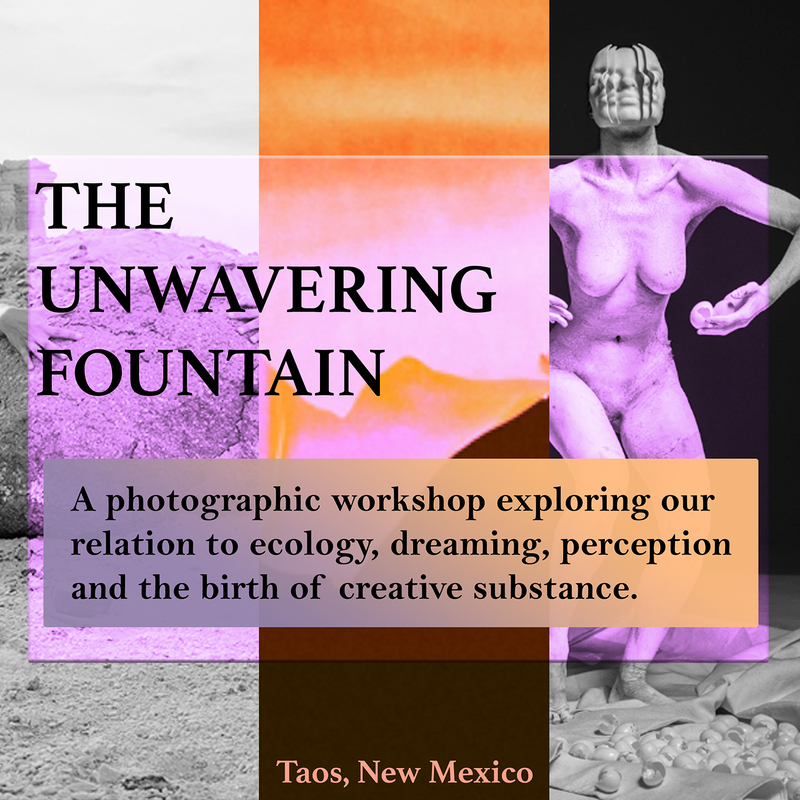 Embracing a new paradigm in teaching and talking about photography, this workshop’s practicum explores our relationship to ecology, dreaming and perception. 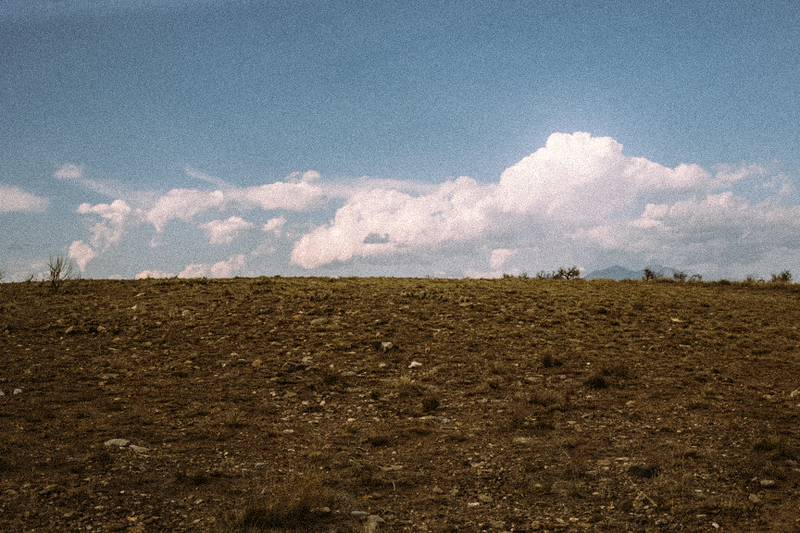 The practicum, imparted in large part outdoors in majestic landscapes that demand attention and silence, will help participants connect to the birth of creative substance. Everyday there will be an exploration of the senses and territory, one day will begin with Left Brain/Right Brain exercises on awareness, ecology and movement led by Karen. She will also be sharing a practice that she has developed, The Fabric of Things, a guided silent walk to experience the senses in relation to the artistic realm. In the afternoon, we will go to places such as the Great Sand Dunes, the White Place and experience what Delphine has to teach on form perception, inner power and myth. We will learn from Brendan about truth in color perception, obsession as an integral tool to establish visual language. He will also share with us his mantra on landscape. Participants are encouraged to create photographs in each outing as well as take part in experimental activities. There will be ample time for feedback and discussion on the work produced. 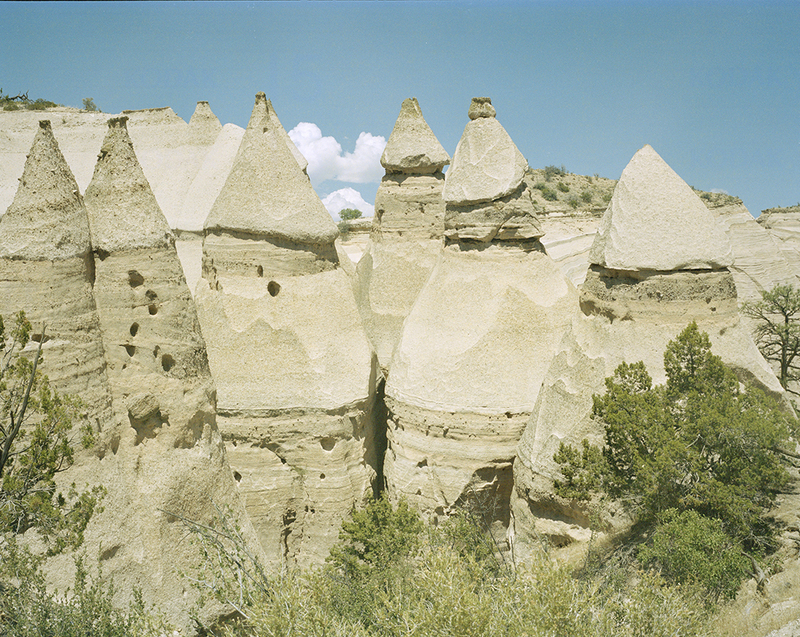 Jessica Hubbard Marr will provide participants with a short talk on the history of photography in New Mexico, principally looking at how photographers have captured the land and culture over time. 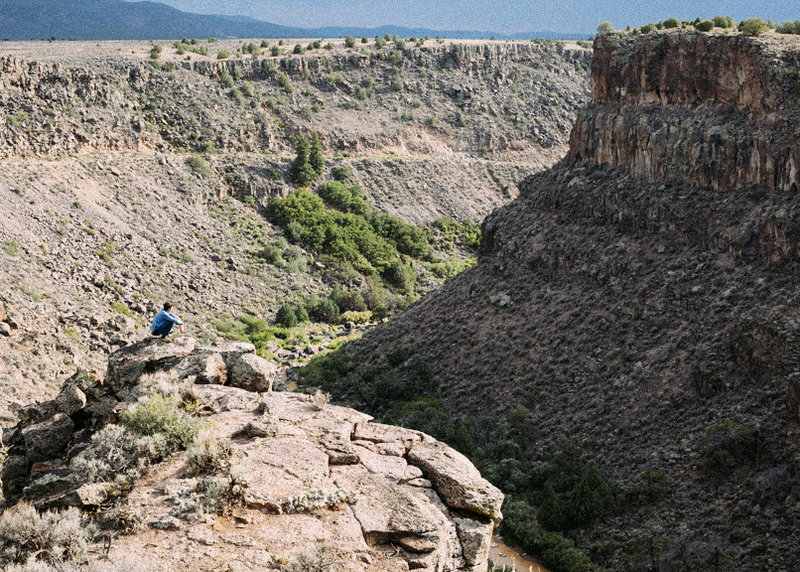 This will be followed by an artist salon at a local’s artist home, which will also give you a taste of life in Taos. Every evening we will gather for a communal dinner at an artist’s home or a local restaurant, which will give us more time to share outside the workshop space. Interested participants should know that it is a demanding workshop that said, we are open to all levels of skills; we are most interested in real commitment to the teachings that will unfold on these days. It is our intention that this workshop supports you delving deeper in your practice, by exploring the self, the land as a catalyst for transformation and originality. We start on the day of arrival in the early evening and ends in the late afternoon on the last day. $1,400 US includes round trip form airport, transportation to the meeting place, breakfast and lunch. Participants are responsible for their own accommodation, however we will help as much as possible in finding affordable stays either on AirBnB, in local houses, or hotels. We will make sure that you are in a good spot and in walking distance to town. Detailed schedule for each day of the workshop will be emailed to interested participants. She graduated from the Académie Charpentier School of Visual Art in Paris in 1999. Sought to challenge the norms of our society, Diallo immerses herself in the realm of anthropology, mythology, religion, science and martial arts to release her mind. Her work takes her to far remote areas, as she insists on spending intimate time with her subjects to better able represent their most innate energy “I treat my process as if it were an adventure liberating a new protagonist” — Diallo’s powerful portraitures unmask and stir an uninhibited insight that allows her audience to see beyond the facade. Brendan Pattengale is a Los Angeles native, a photographer with a painter’s eye for color and composition. Pattengale is constantly in pursuit of broader horizons, seemingly untouched territories, explosive vastness and depths allowed by unraveling landscapes, figure studies and still lifes through his field of vision. Most recently he has shown at the Fresno Art Museum and has been exhibited at Fahey/Klein Gallery in Los Angeles. Pattengale received his BA in Studio Art from UC at Davis and has dedicated the last 17 years to mastering photographic techniques and examining these in relation to nature and figure studies. 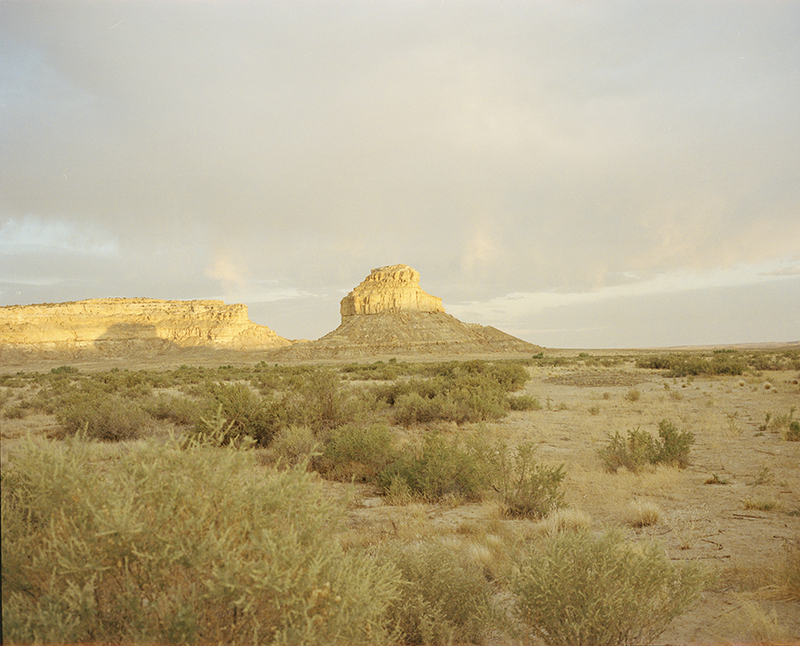 Jessica Hubbard Marr is an independent photo historian, photographer and archival assistant. She earned her Master's in The History & Theory of Photography from Sotheby's Institute of Art in London in 2011 and her B.A. in English literature from Kenyon College in 2005. Since 2013 she has been a global nominator for the Prix Pictet and works with artists between the US, Mexico and Latin America as a writer, researcher, curator and consultant. She currently lives in New Mexico. 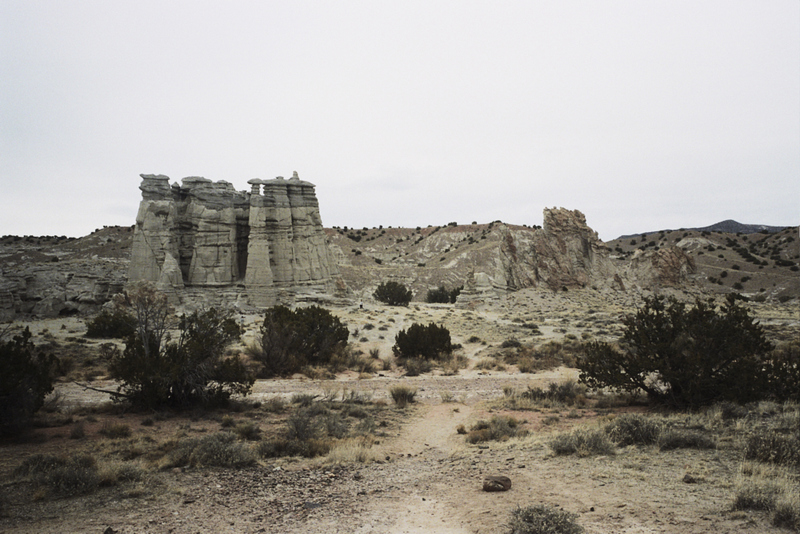 Karen Miranda-Rivadeneira is an Ecuadorian-American photographer currently living in New Mexico. She is a graduate from the School of Visual Arts in 2005. During that time, she focused on performance art, and trance states. Following these interests she has collaborated with indigenous communities and her relatives to create photo-based projects. From the Mam to the Mandaeans, she has spent more than a decade living between the Amazon, the Andean highlands and NYC. 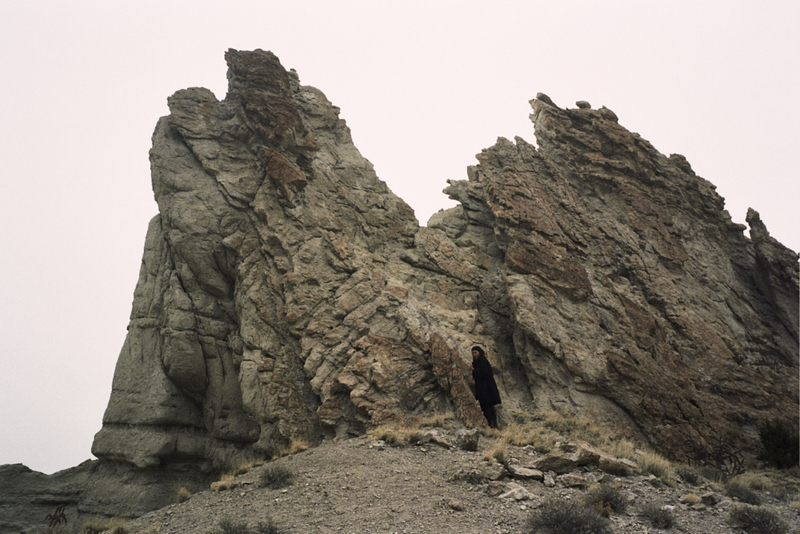 She is interested in digging for psychic gold, in threading personal and collective narratives exploring the peripheries of memory, storytelling, myth and perception to encounter the myriads of ways in which photography can create platforms for diversion and reflection.